UnoTelly is a Canadian DNS service provider that offers a VPN feature to subscribers of its Gold plan, which is the focus of my review today. There are only a handful of VPN locations you can spoof, and the provider’s stance on privacy and lacking security features don’t give UnoTelly VPN a competitive edge. UnoTelly offers three plans. Their free plan lets you test their DNS feature, which is meant to let you change your IP and unblock some streaming services. Forget about unblocking Netflix, by the way. UnoDNS, aka Premium Plan, kicks in at $4.95 per month and unblocks DNS in 30 countries, and support for an impressive array of devices. The price goes down to $12.95 if you buy a three-month subscription, $24.95 for six months, and $47.95 if you buy a year with them. UnoDNS+UnoVPN, aka Gold Plan, is priced at $7.95 per month, $19.95 per three months, $36.95 for six months, and $59.95 for a year. 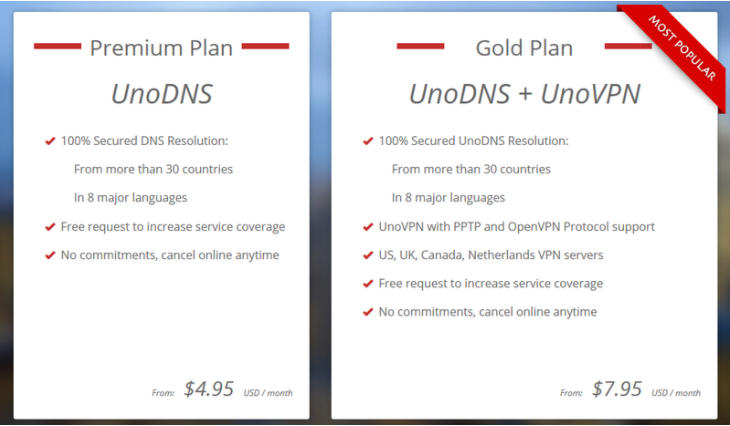 Gold allows the same DNS service as the above Premium plan, with PPTP and OpenVPN support for their VPN feature, servers in five countries (Canada, the US, the UK, Netherlands, and Germany). The company explicitly prohibits torrenting, but they allow an unlimited number of simultaneous connections to VPN per license. Paid subscriptions are covered by a 14-day refund guarantee. Unfortunately, they only accept Bitcoin and options available through PaymentWall. For many, this means paying with their credit card. It took me by surprise they don’t accept PayPal, but further research revealed the payment processor banned UnoTelly unilaterally last year. According to PayPal’s statement published by the Inquirer, the payment processor blocks VPNs that facilitate copyright restrictions circumvention. In that case, the majority of big name VPNs should have been blocked by PayPal long ago. The fact that UnoTelly has been selectively blocked by PayPal looks like a reflection of some behind-the-scenes wrestling between competitors. PayPal out, Bitcoin in, but I wasn’t happy paying via PaymentWall with my credit card, which is something you want to avoid when subscribing to a privacy protection service. UnoTelly offers a massive library of FAQs for its DNS users. The DNS-related articles are well-organized by platform, device, troubleshooting common issues, etc. By contrast, their VPN knowledge base is bare-bones, and hard to navigate. For instance, there is no native software, which is a shame at that golden price. 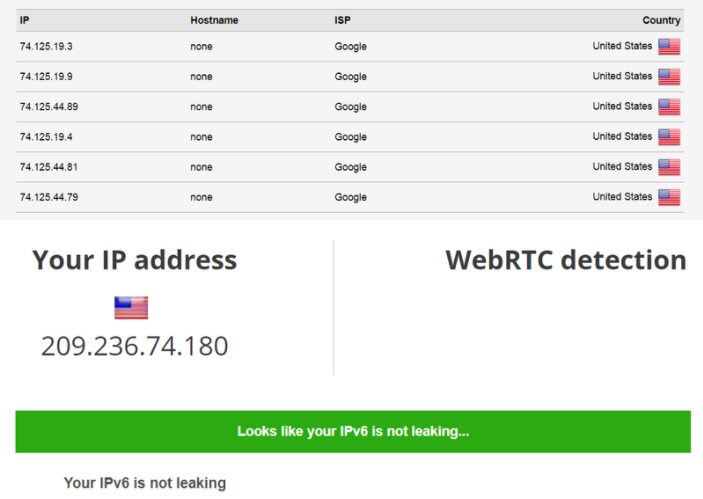 They support PPTP – highly insecure – and OpenVPN. But the latter requires you to install the open-source OpenVPN software. I have no problem using OpenVPN because I’m used to it, and I dislike installing third-party apps that might be doing nasty things without permission. But if you’re a newcomer to the VPNs, the setup suggests a steep learning curve. Thankfully, you only need to set up your VPN once. The bad news is you need to install OpenVPN and TAP, find and add your UnoTelly VPN configuration files, find and enter your VPN login and password. Sounds intimidating? Perhaps it is. 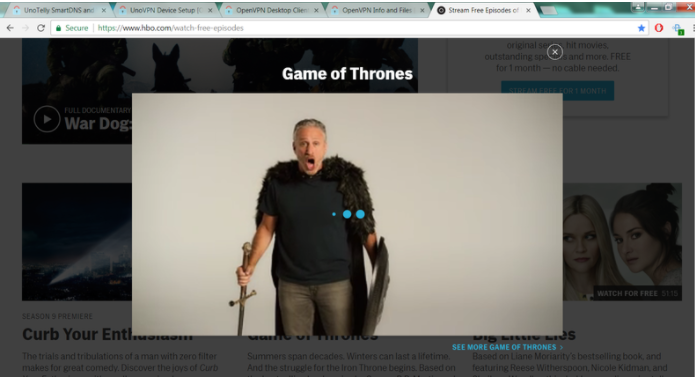 In my tests, I discovered that UnoVPN was nowhere to be found in my dashboard upon subscribing to their Gold Plan. I had to do a manual search for the FAQ sections that describe the setup process, and searching is a nightmarish experience. Setup instructions are in one place, config files are in another place, and nothing is in your customer’s dashboard, where it’s supposed to be. Making matters worse, two days after I subscribed, my account still showed I had no active subscriptions, and VPN login/pass were unavailable. In a mind-numbing and frustrating manner, UnoTelly makes you log in to their contact support page on a standalone basis. 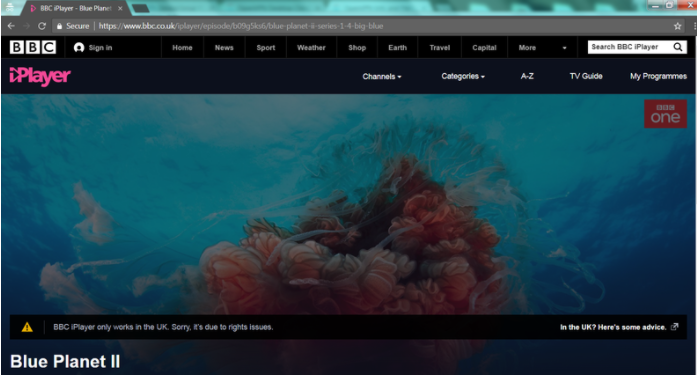 So, at first you log in to your customer’s dashboard, and if you want to submit a ticket, you need to log in again. For a VPN user, usability is terribly counter-intuitive. On the bright side, I sent them two tickets describing my issues, and they were fixed the following day. Their support emailed me the VPN setup links, login and password, and apologized for the inconvenience. From there, I experienced no technical issues. UnoTelly VPN is a skeletal service that is just bolted to their DNS product. The provider explicitly states their VPN is for privacy and security – not for streaming or torrenting. They support manual setup for PPTP, which is not recommended since the security is weak for this protocol. Their OpenVPN solution relies on the open-source software, which is rather basic in the customization options, so you won’t find a kill switch or a firewall. You are supposed to be able to connect as many devices as you need, provided you are on the same network. With the configuration files, you can setup your VPN on most devices in your household. As I said, there are five locations you can choose from – the US, the UK, Canada, Netherlands, and Germany. But you must force yourself through the verbose legalese if privacy is on your shopping list. So not only this is a Canadian provider (Five Eyes, in bed with NSA, data retention laws), but their servers are under the jurisdiction of the countries where they are located. So we’re talking about the US, the UK, German, and Dutch data retention laws, too. This is a privacy nightmare. Wrapping up this section is the security specs – 128-bit Blowfish for OpenVPN, and TLS 1024-bit for authentication, which is weaker than the recommended AES 258 and 2048-bit key for authentication. The specs are also difficult to find. 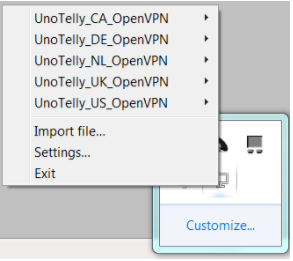 So, UnoTelly VPN fails to meet the industry’s standards for both privacy and security. For a pretty weak VPN service, UnoTelly charges a lot, failing to meet the industry standards for privacy, security, and performance. It might be a feasible choice as a DNS provider, but if you’re looking to combine DNS and VPN, there are better offers out there.